A little over a month ago Cupidrop sent me my first A.True product. I've heard about the brand in the past, but have never had the opportunity to try anything made by them, and was very excited to try such a luxurious product on my humble face. Cupidrop is an online Asian beauty retailer based in New York City, offering products from Korea and Japan to help with most any beauty solution to fit your needs. They offer products that fit the latest trends and innovations of the Eastern beauty realm, which is what really made them stand out to me. They offer free US shipping on orders over $50, and are currently offering 10% off orders of $30 or more with code 'CHACHACHA'. The ‘Compagnie Coloniale’ brand is the First and Oldest premium black tea brand in France - it delivers absolute value. A·TRUE presents “True Personal Care,” with its unique textures and outstanding benefits, all of which are formulated with various prescribed blends, proven to be very valuable in France for the past 200 years. Here at A·TRUE, we wish to revive the Premium Beauty of the 17th Century European Royal Courts. We aim to have our customers experience lavish lifestyles and exquisite teas and to have them transported back in time via a single sip. 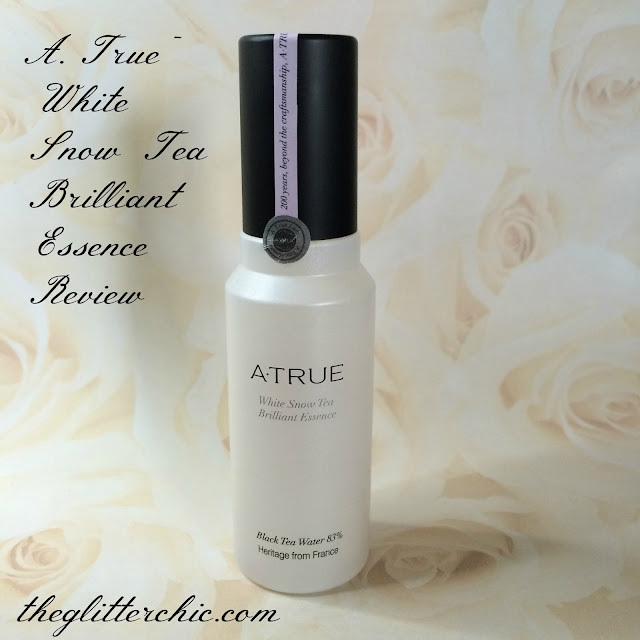 The White Snow Tea Brilliant Essence is supposed to stop the over-production of melanin in the skin, leaving your skin bright without dark spots. While whitening and moisturizing your skin, this essence will leave you with a luminous, smooth, clear complexion. 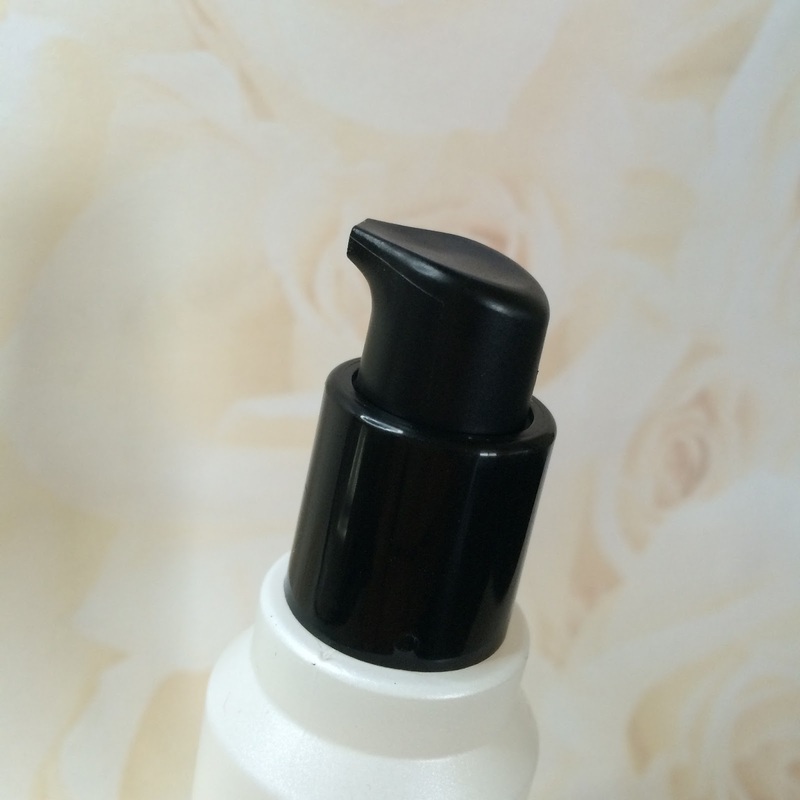 The essence comes in a pearlized plastic bottle with a handy pump top. The thought of using black tea (camellia sinensis) water instead of plain water in skincare intrigued me. What are the benefits? -black tea also eliminates toxins and heavy metals from the skin. The essence looks like a thin lotion or emulsion [1.] but melts once you start rubbing it into your skin [2.]. 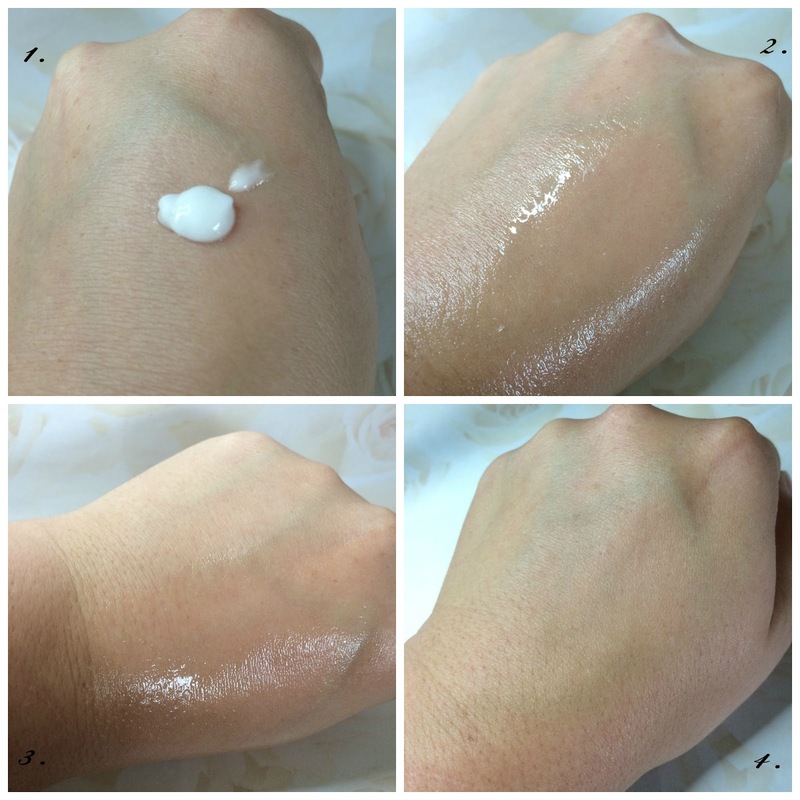 Once applied to the skin it leaves a moist layer as it absorbs [3.] but after just a minute or two it fully absorbs and leaves no residue or tackiness behind [4.]. The photos below are showing changes due to a number of products, but one of them is the A.True White Snow Tea Brilliant Essence. 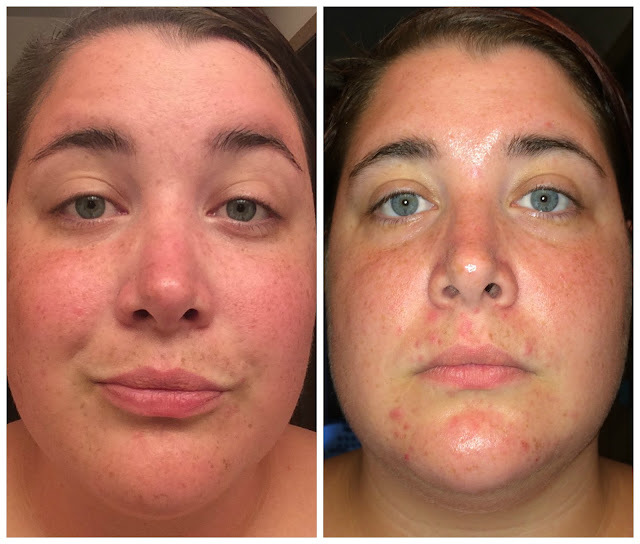 The first photo was taken on August 7th (right before starting use of this essence) and the second photo was taken on September 15th. With the help of this essence, my skin is noticeably brighter and lighter (ignore my acne please, that is a different story all-together). 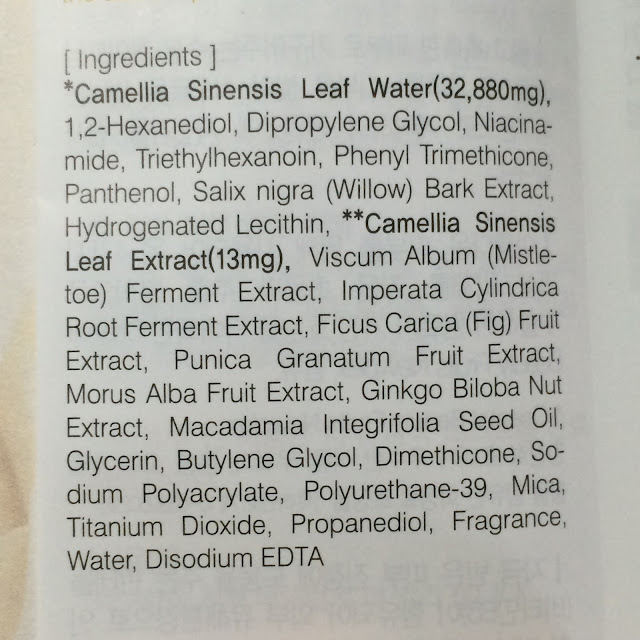 Sounds like a great product, love the ingredients list! Your skin is obviously brighter.